Have you been wondering what accessories are available to make your plow even better and your job even easier? Are you looking to take your plow setup and look to the next level? Using the right truck plow accessories will help you conquer the snow and look good doing it! Depending on your preference and the specifics of the area you are plowing, you may want to consider urethane cutting edges. These additions can help you get optimum scraping performance and are ideal for plowing on certain types of pavement or paving stones. 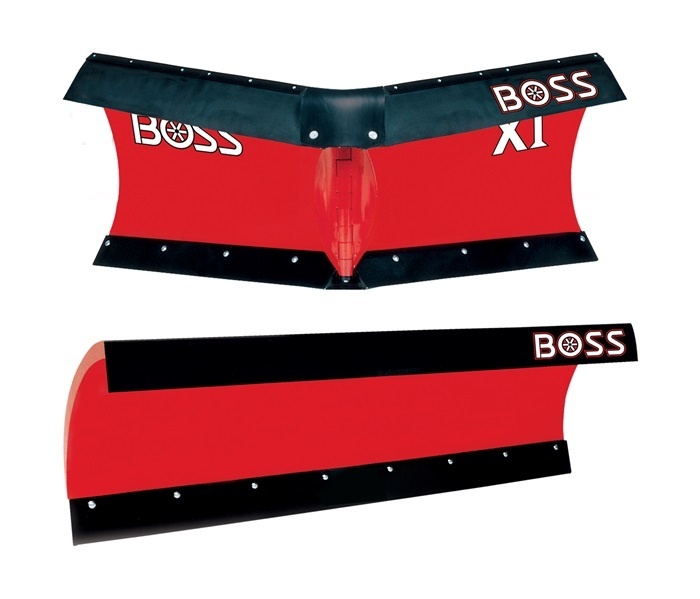 BOSS offers these edges for our straight-blade plow family. You may also see v-plow cutting edges listed as an accessory. BOSS blades come standard with cutting edges for all truck plows except the trip-edge style, which includes our DXT (dual trip blade). These models come with a base angle that is used as a cutting edge until worn. When it is time to replace the base angle, you will want to arm your v-plow with these Hardox cutting edges featuring build-in curb guards and patented snow catcher. Available for most models of plows, these add-ons to the top portion of your blade will help increase visibility when plowing. The angle they create with the blade when installed, directs the snow away from your windshield and out of your line of sight. The flexibility of the rubber ensures they will not break, even in the heaviest of snow conditions. 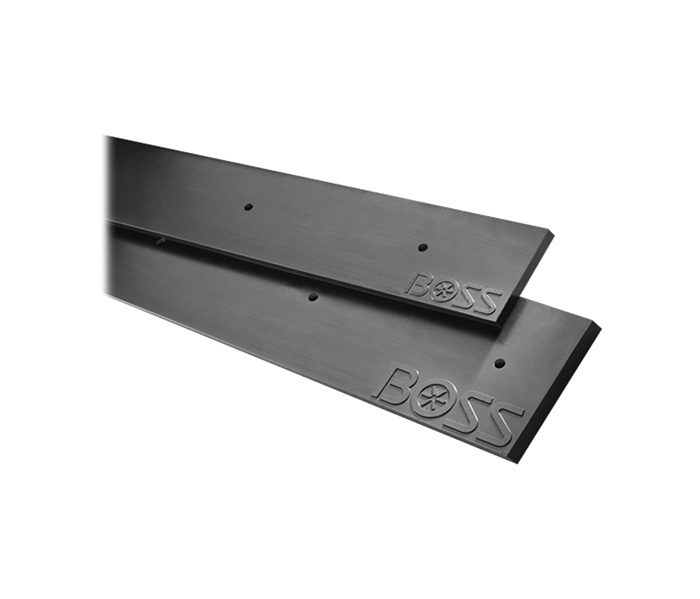 BOSS offers rubber deflectors in sizes for straight, v-plow, and EXT plows. BOSS offers back drag edges for our straight-blade line of plows, including Standard-Duty, Super-Duty and HTX blades. 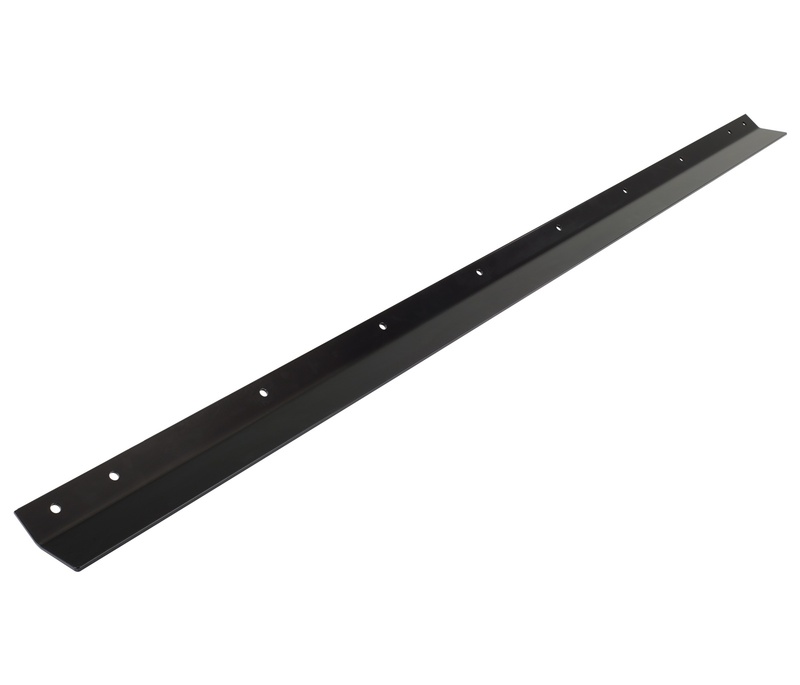 These mild steel blades can improve scraping performance while back-dragging, which is especially helpful in getting up close and personal when plowing against a structure. While different states have different road restricting on road legal plow sizes, plow wings can be easily attached and detached on-site to let you get the most out of each blade pass. 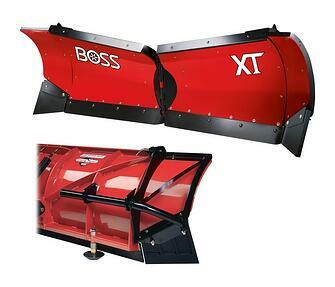 BOSS plow wings are available for select models and extend your width by 11" on each side. When you have a need to keep your blade a set distance off the ground, plow shoes are the way to go. You can easily plow over gravel or uneven surfaces or unfrozen ground while minimizing the potential damage to the surface or landscape. With adjustable heights, plow shoes enable the blade to float over many types of surface. 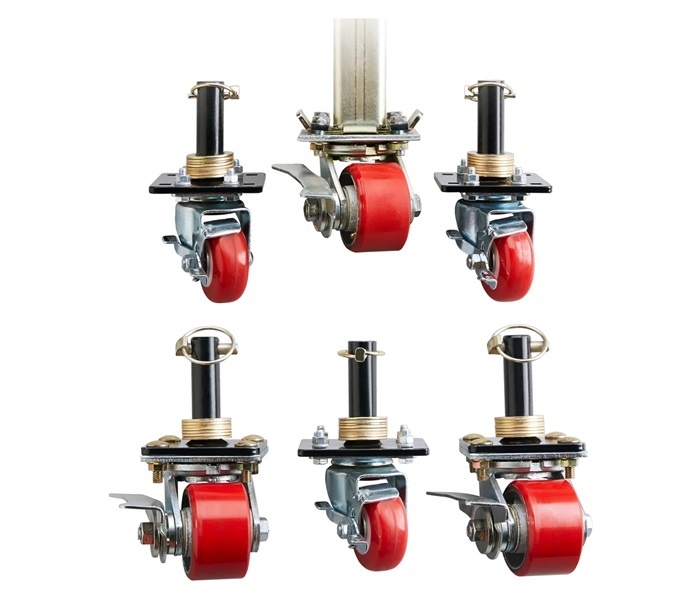 Especially helpful for the larger/ heavier blades, dolly wheels/caster kits allow you to easily push your blade around a garage or shop for storage or maintenance. Their steel ball bearings allow for smooth movement and less strain for you. 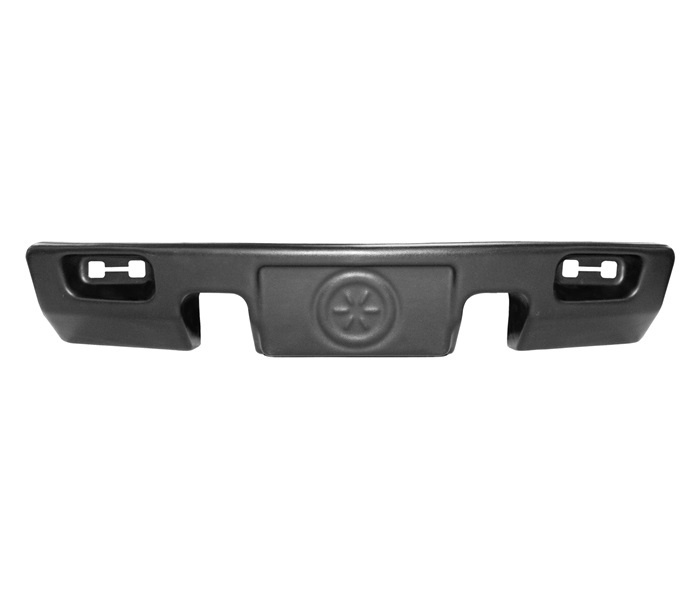 Very popular among plow owners looking to maintain the integrity of the look of their truck are the replacement bumper trim kits. 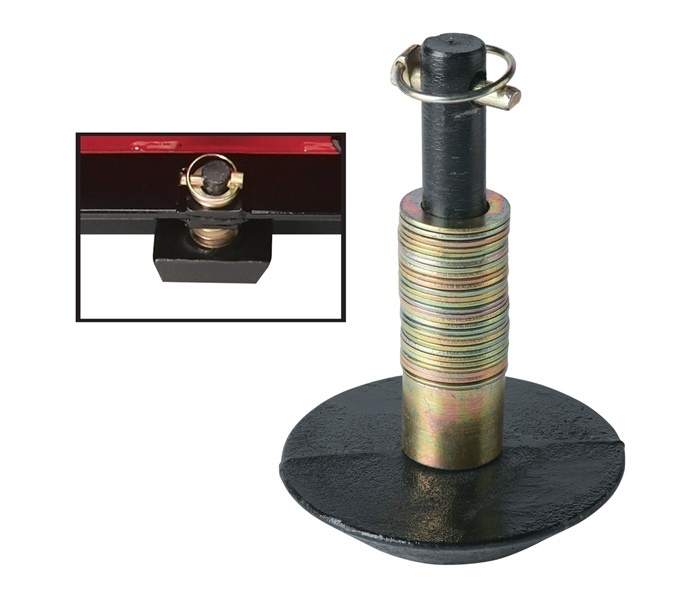 Available for select makes and models of trucks, this accessory eliminates the need to cut or modify a portion fo the OEM bumper to access the push beam hooks for plow installation. You can then remove or modify the valence and reinstall the original bumper upon truck resell. Depending on the controller that is right for you, there are several mount kits available. 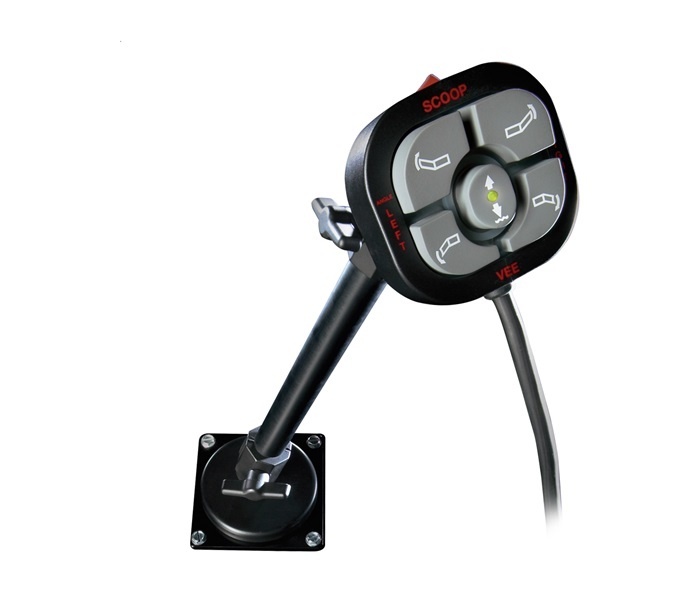 Dashboard and floor mounts are among the options for specific models and can make controller access as convenient and comfortable as possible. Lighting upgrades are popular, especially for anyone plowing at night where visibility is of utmost concern. BOSS offers SL3 L.E.D. lights that nearly double the light output of standard halogen systems, a fuller light pattern, and come equipped with Ice Shield Technology that heats the lens to prevent ice build-up. They are available as an upgrade option for the SL1 and SL2 lights. 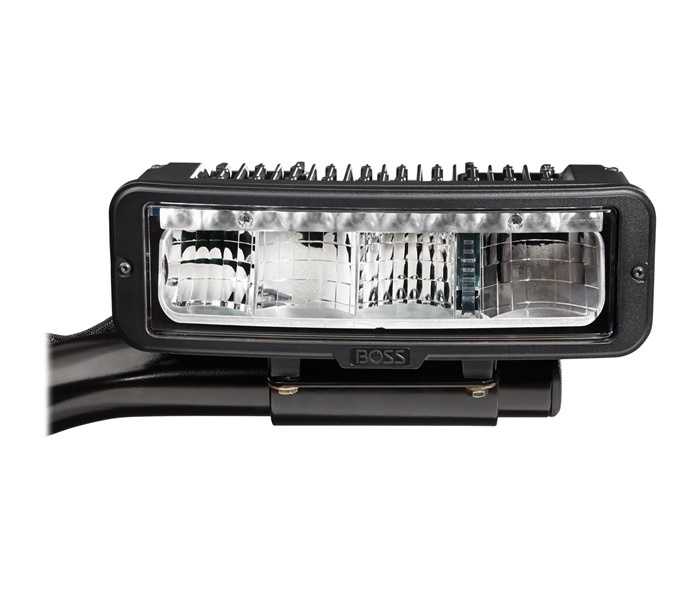 View all truck accessories by visiting www.bossplow.com.